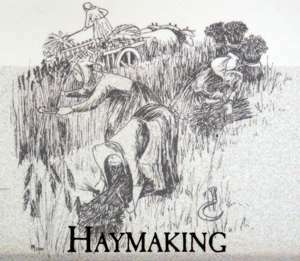 The web site is intended to give a quick flavour of the village but cannot give the feel of how an open field working village looked and felt. 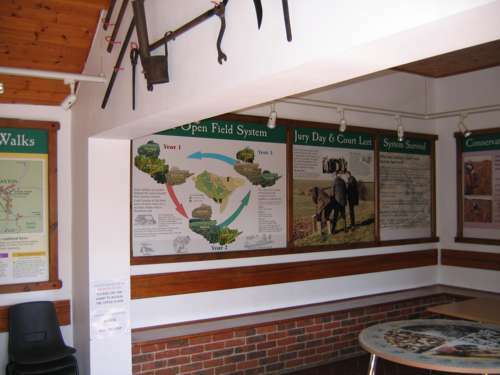 Leaflets available in the Visitor Centre give three suggested walks around the open fields all of varying length and the booklet gives an explanation in words and pictures of village life and how the system operates. 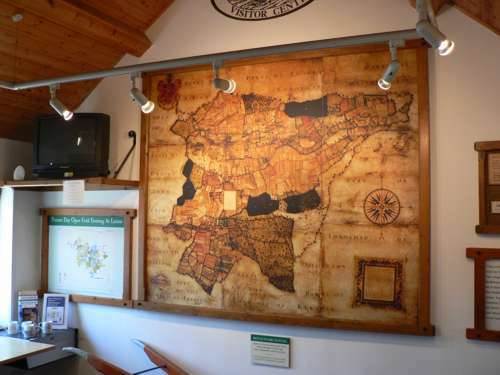 There are 9 information boards around the village and open fields and also one for the Motte and Bailey Castle. 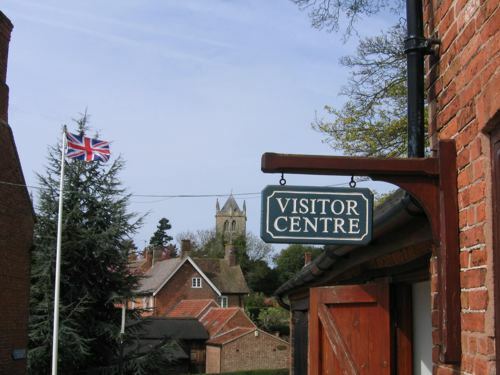 The centre is run by the village and relies entirely on voluntary donations for its income. 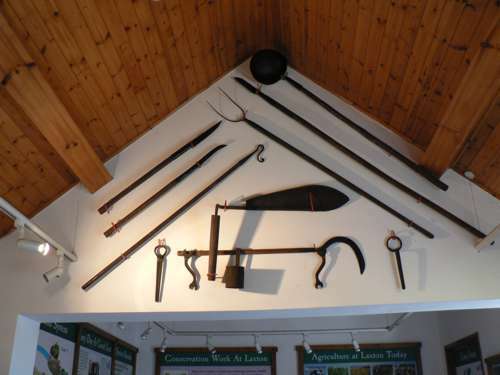 In 2013 the community of Lexington near Boston Massachusetts, celebrated its 300th anniversary. 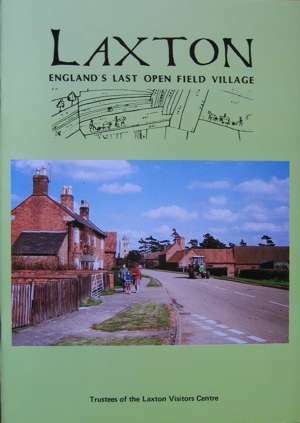 To mark this occasion there were many celebrations, among which a package of gifts was sent to Laxton, after which Lexington was named. 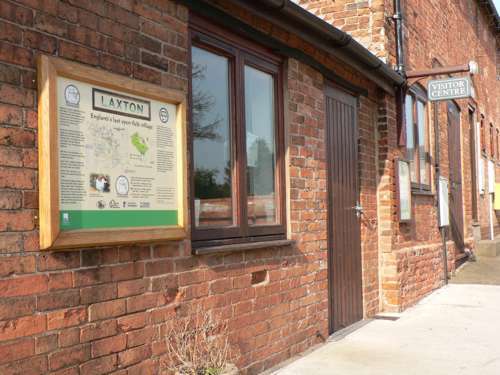 Keith and Jean Morton of Laxton visited soon after with a selection of gifts from Laxton. 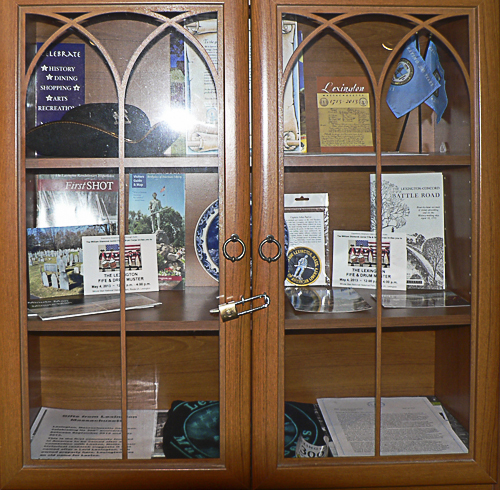 Lexington's gifts are displayed in a cabinet on the wall of the Visitor Centre. The Dovecote Inn on 01777 871586.